The original Moro 360 will definitely go down in history as a milestone in wearable tech. The bold Motorola creation paved the way to round displays and helped set new goals and requirements for the niche. Now, only a year into its lifespan, the rapid pace of development has already brought about a successor. 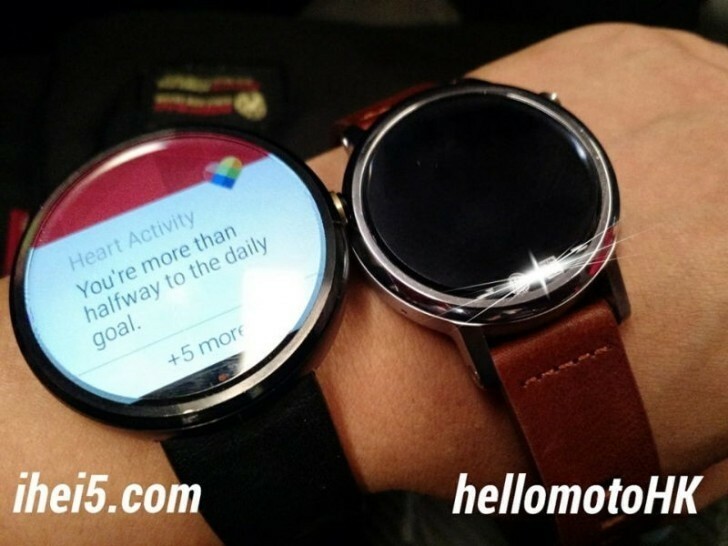 Needless to say, it has been gathering a lot of attention with specs and photos flying all over the place, but despite all the leaked information, the second generation Moto 360 might still have a surprise or two left for its debut. News of two different size variants of the Moto 360 (2nd gen) has been circulation for quite some time now and at this point, the information is mostly confirmed. A new batch of clean renders, courtesy of @upleaks, seems to prove this yet again, but also puts a brand new twist to the story in the form of an alleged Moto 360 Sport. This sporty version of the device seems to be equipped with a rubber strap, making it ideal for exercise and perhaps even improving its toughness and resistance. It is hard to say how big the Sport version is without a side by side comparison with the other two models, but the truth is that we are not really sure of their exact dimensions either. From what we currently know, the larger one, allegedly dubbed the 360L will retain the 46.5mm form factor of its predecessor, while the other (360S) will be smaller and potentially cheaper, but we are not currently sure by how much. Their batteries are allegedly different as well, with 375mAh on the larger one and 320mAh on the smaller. As for the rest of the specs, it seems Motorola has decided to stick with their original "flat tire" screen design. And white one could argue that it was a matter of technological limitation the first time around it is certainly not the case now and could potentially spell trouble for the Moto 360 (2nd gen), as both LG and Samsung out their circular competitors. Although it bears resemblance to its predecessor, you can clearly tell the new Moto 360 apart, because of the position of its button. On the original this was placed at the 3 o'clock mark, while this time around Motorola's moved it to 2 o'clock for whatever reason, making it quite similar to the Huawei Watch.